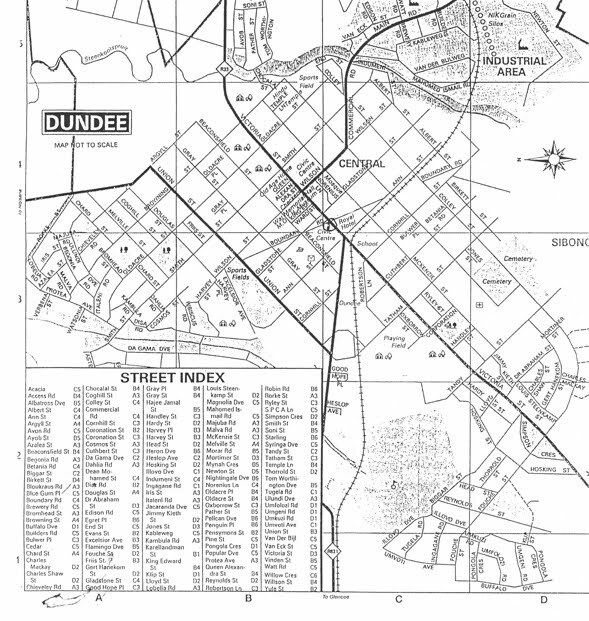 The follow maps of Dundee are presented chronically, starting with the earliest in the Talana Museum archive to most recent local tourism map. The final map in the series is a composite of all five. All maps courtesy of the Talana Museum.